Central Asian countries are still eligible to receive used American military equipment from the war in Afghanistan. But it seems they may be losing out in the giveaway to their neighbors to the south: Afghanistan, India, and Pakistan. 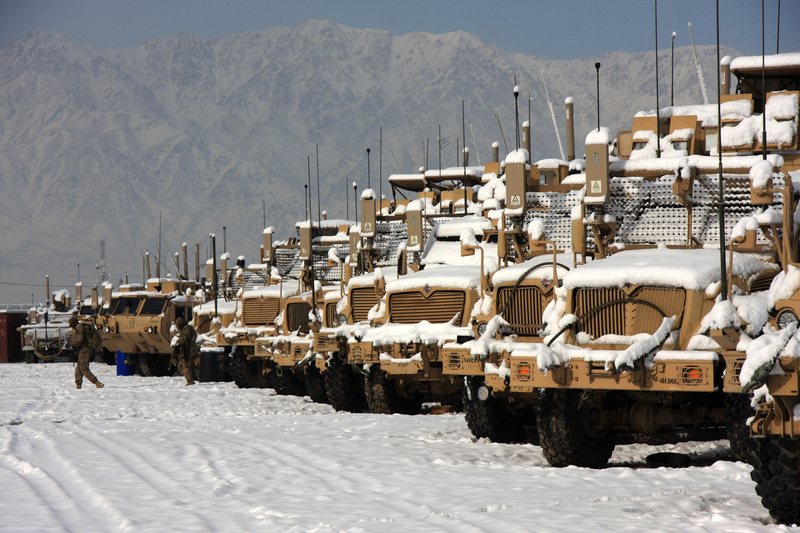 At issue are the Mine-Resistant Ambush-Protected (MRAP) vehicles, a staple of the Afghanistan war. U.S. officials say that there are 1,600 of them in Afghanistan and that they are willing to give them away to allies. One possible recipient is Uzbekistan; this was apparently on the agenda when a high-level delegation from Tashkent visited Washington in December. But controversy over the giveaway program spiked last month when the Washington Post published a story saying that Pakistan was among the candidates to receive MRAPs. This resulted in consternation in Afghanistan, where mistrust of Pakistan is strong. And U.S. officials disputed the story. “Our commitment to the Afghan people and the Afghan National Security Forces is unwavering,” said Marine General Joseph Dunford, commander of all U.S. and NATO troops in Afghanistan. On Monday, the State Department issued a carefully worded statement about the U.S.'s plans. "U.S. military equipment leaving overland from Afghanistan through Pakistan or via the Northern Distribution Network is part of the overall process of removing equipment as our forces draw down in Afghanistan. We have not and do not intend to transfer this equipment to the governments neighboring Afghanistan." [T]he U.S.-led coalition was increasingly relying on Uzbekistan to transport equipment and supplies out of Afghanistan because supply routes through Pakistan were partly blocked. Since then, however, a major Pakistani political party has lifted its blockade of NATO supply routes through the northern part of the country. Since January, there also have been several high-level meetings between U.S. and Pakistani officials over ways to bolster cooperation.